USPA NEWS - Sneakz Organic LLC, Makers of the Award-Winning Line of Vegetable-Infused Milkshakes, announced that is has achieved what many thought was impossible : Obtaining the Prized China Organic Certification. Different from the U.S. Classification of what makes a Product Organic, the PRC (People's Republic of China) lists the Ingredients that you can use, as opposed to what you cannot use ; so if an Ingredient is not included on the List Prior, the Company must work to adjust its Formula or work to get the Ingredient approved before they can receive the Certification. As such and in just 22 Months, Sneakz Organic was able to create a Brand New Category of Product and add two of its Ingredients to the Approved List in order to receive this Esteemed Certification. Sneakz Organic LLC, Makers of the Award-Winning Line of Vegetable-Infused Milkshakes, announced that is has achieved what many thought was impossible : Obtaining the Prized China Organic Certification. Different from the U.S. Classification of what makes a Product Organic, the PRC (People's Republic of China) lists the Ingredients that you can use, as opposed to what you cannot use ; so if an Ingredient is not included on the List Prior, the Company must work to adjust its Formula or work to get the Ingredient approved before they can receive the Certification. As such and in just 22 Months, Sneakz Organic was able to create a Brand New Category of Product and add two of its Ingredients to the Approved List in order to receive this Esteemed Certification. 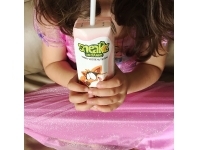 Sneakz Organic Milkshakes are made with a Propriety Blend of USA-Certified Organic Vegetables and Other Nutrients such as High Protein to help Kids get their Daily Serving of Veggies in a "Good For You, Fun For You" way. The Flavorful Shakes are Shelf-Stable and delivered in a Convenient On-The-Go Style Packaging so that Families can enjoy them anytime, anywhere. Sneakz currently offers Three Flavors : Chocolate, Strawberry and Vanilla. This Certification carries much Meaning for the Sneakz Team. As they continue to expand their Presence in the U.S. Market and grow the Brand Offerings, the Young Company also is hoping to extend its International Footprint. While the U.S. continues as Sneakz Organic's Core Market, there is Significant Opportunity in Regions with Growing Nutritional Needs, especially for Children in Asian Markets with Extreme Milk Deficits. Leveraging the Enhanced Productivity and Output of U.S. 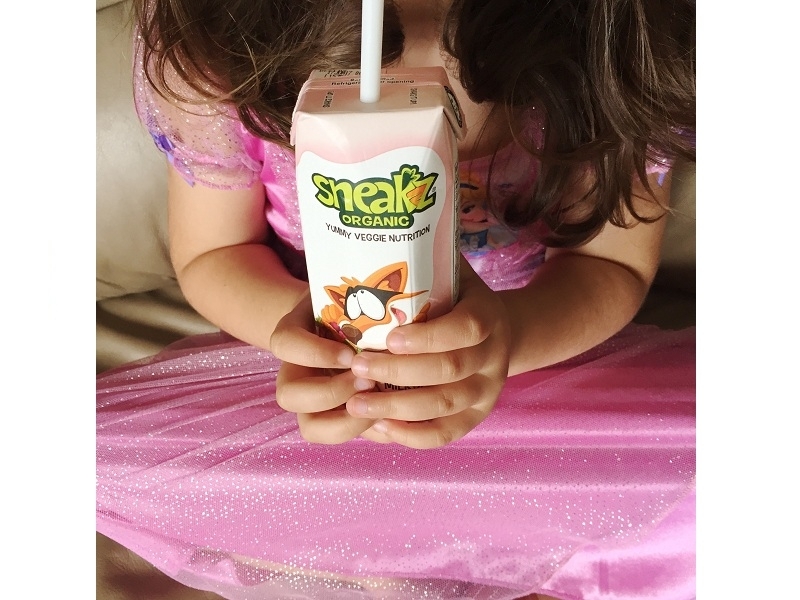 Dairy – Specifically the Quality and Price Advantage – Sneakz is hoping to support these Struggling Countries and bring its Veggie-Infused Milkshake-Style Beverages to as many Kids and Families as possible. In addition to Sneakz Organic Milkshakes, the Company currently offers a Non-Dairy, Vegan Protein Drink Mix that also features a Half-Serving of the Organic Vegetable Blend, High Protein Content and GanedenBC30 Probiotics. Sneakz will introduce a New Meal Replacement Powder Mix in the Fall of 2018 as well. Sneakz Organic LLC will begin shipping its Vegetable-Infused Milkshakes to the Chinese Market in September 2018.